PCA Club Racing Trophy East drivers headed north to Elkhart Lake, Wisconsin over Labor Day Weekend. 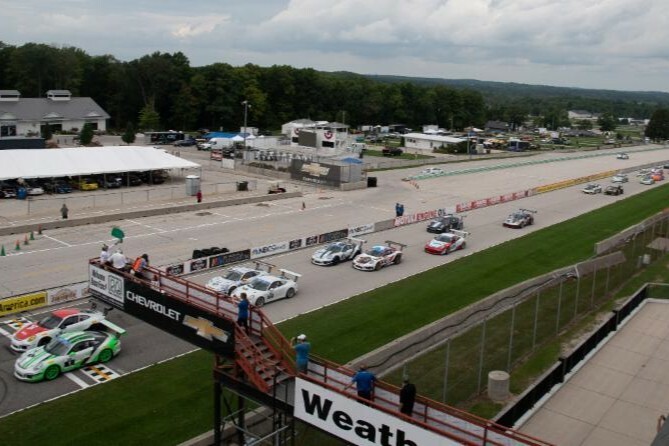 The series first traveled to Road America two years ago in 2016, and returned to the iconic 4.048-mile, 14-turn road course for three exciting races. During Sprint 1 on Sunday afternoon, pole winner Rafael Llopiz came in second to Hairy Dog Garage’s John Goetz in the TE6 class, with Goetz ahead of Llopiz by 1.409 seconds. ACI Motorsports’ Curt Swearingin came in third in the class. The top three drivers battled for most of the 30-minute sprint, making for an exciting race. In the TE4CS class, ACI Motorsports’ Efrin Castro came in first, followed by NOLAsport’s Alejandro Galindo. The two were neck-and-neck the entire race, with Castro and Galindo only tenths apart. BGB Motorsports’ Tom Collingwood continued his podium streak from Monticello Motor Club with a third-place finish in Sprint 1 in his No. 69 Cayman GT4 Clubsport entry. NOLAsport’s John Crosby led the TE4CS Masters class, placing first with Charlie Craig nabbing the second place finish in his No. 76 “Old Glory” Cayman GT4 Clubsport entry. David Peterman, of Hairy Dog Garage, came in third place in his No. 52 Clubsport entry. Due to weather conditions and delays, Sprint 2 was moved from Sunday afternoon to Monday morning before the series’ endurance race. Llopiz won the TE6 class and overall with Swearingin just .419 seconds behind him. Autometrics Motorsports’ Seth Davidow came in third place in class – nabbing his first podium of the season. In the TE4CS class, Collingwood came in first place, with his fastest lap time of 2.22:326. Castro came in second place and Bruce McKee came in third – giving BGB Motorsports two of the three podium spots for that class in Sprint 2. In the TE6 Masters class, TOPP Racing’s Ken Finch came in first place, while Crosby, Craig and Peterman repeated their 1-2-3 finish in the TE4CS Masters class. The 80-minute enduro on Monday morning kicked off with cloudy skies, and rain started to fall just as the race was winding down. Goetz gained his second win of the weekend in the TE6 class, with Swearingin coming in second and Llopiz in third. ACI Motorsports’ Castro also gained his second win of the weekend, coming in first place with the fastest lap time of 2.22:024. The TE4CS class had not one, but two family members on the podium for the enduro with the father/son team of David and Russell Walker coming in second place and father/daughter team Bruce and Sydney McKee coming in third. Both racing duos share their cars during the enduro. 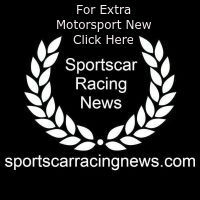 NOLAsport’s Crosby swept the weekend – winning Sprint 1, Sprint 2 and the enduro in the TE4CSM class. Craig and Peterman finished in second and third, respectively. In the TE6M class, TOPP Racing’s Ken Finch placed first once again as well. Next up, the series will finish the 2018 season in Daytona Beach, Florida at the iconic Daytona International Speedway October 26-28. After the final race on Sunday evening, the series will enjoy a celebration banquet to highlight the 2018 season.